I just love this race. 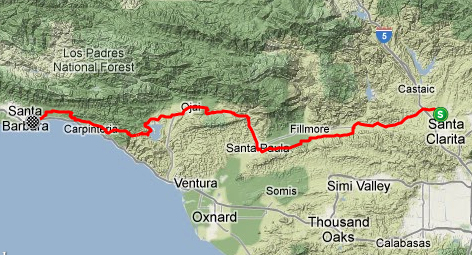 Every year when the detailed route is revealed I get so excited to see which roads will be used to highlight my home state of California. 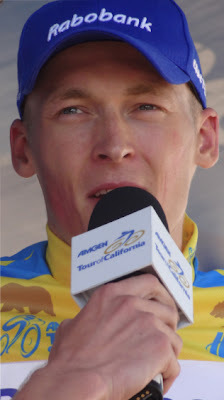 I also wait in anticipation to foresee the obvious mistakes (can you say Bakersfield?). This year I am looking forward to the changes and especially the return to some of the most magnificent tourist cities (can you say Santa Barbara?) 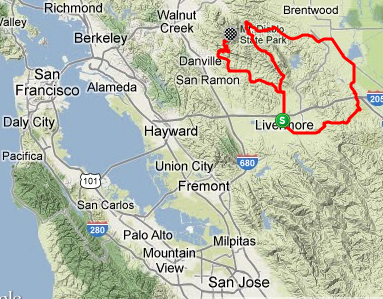 and mountain climbs (how about Mt Diablo?) California has to offer. 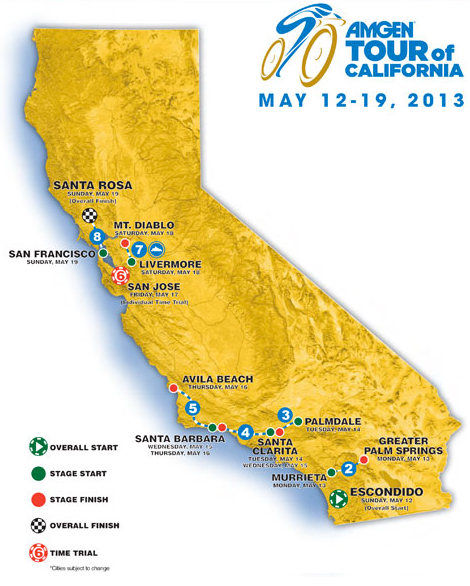 This year the race starts in southern California and heads north to finish across the bay in Santa Rosa. The race also begins on a Sunday and ends on a Sunday this year, taking advantage of better TV coverage and weekend crowds. That mean 8 stages in this year's Amgen Tour of California. I'm going! 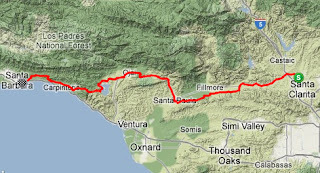 Start/Finish Location: Broadway and Grand Ave.
KEY FEATURES: Climbing begins on day 1 at mile 12, climb of Mt Palomar (from the eastern slope) summits by mile 50, followed by a fast descent and a final sprint in town. Start and finish are from the same city of Escondido. KEY FEATURES: Rides through Temecula Valley wine country, climbs up the San Jacinto Mountains to the hamlet of Idyllwild, stage will finish up Tramway Road climb to the Palm Springs Aerial Tramway parking lot. 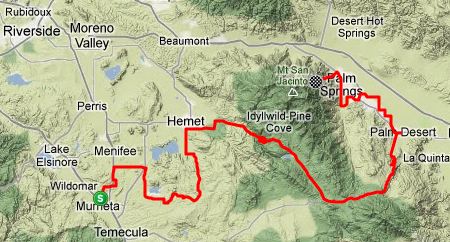 The last 3.8 miles gains 1,880 feet of elevation (average over 9%) – "one of the toughest climbs anywhere". 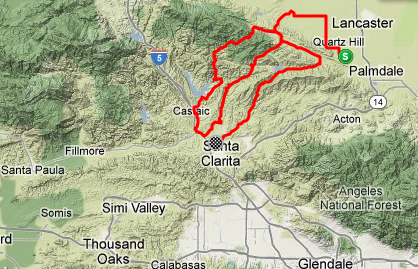 KEY FEATURES: Enters San Francisquito Canyon, with a 22-mile climb up Lake Hughes Road and a gradual 18-mile descent down Spunky Canyon and Bouquet Road, with a field sprint expected into Santa Clarita. 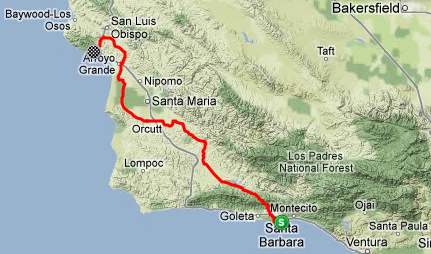 KEY FEATURES: This route was done previously in reverse, the first 33 miles are basically downhill, followed by a 9-mile climb to a KOM and a technical descent of Dennison Grade, followed by a sprint in Ojai, a climb up Casitas Pass and a flat fast finish along the beach into beautiful Santa Barbara. 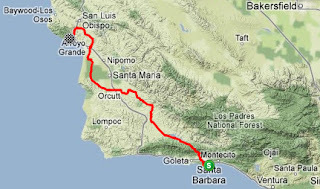 KEY FEATURES: Rise and shine, the climb starts at mile 7.77 today over San Marcos Pass, it then skirts the town of Solvang through Los Olivos and up Foxten Canyon (a wonderful bike ride through wine county) across agricultural lands arriving into the quaint beach town of Avila Beach. KEY FEATURES: I hope you got in your car and drove because suddenly we are in northern California (south of San Francisco). 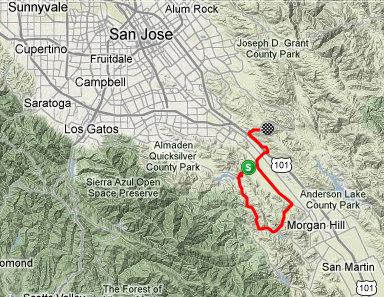 Returning to the town of San Jose for a 20-mile semi-loop/uphill individual time trial. 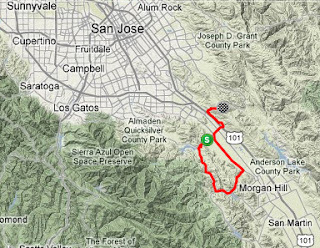 The route is south of downtown SJ with a start near Calero Reservoir and a finish up Metcalf Rd at the motorcycle park. (3km of nearly 10%). KEY FEATURES: Departing Livermore the peloton will ride out Morgan Territory Road, Patterson Pass Rd, looping back through Livermore for a sprint (this town is always an excellent host), and finally up famous Mt Diablo. 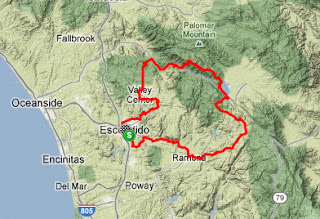 For 2013 an additional 4.5 miles of climbing was added for a longer mountain top finish (11m climb). 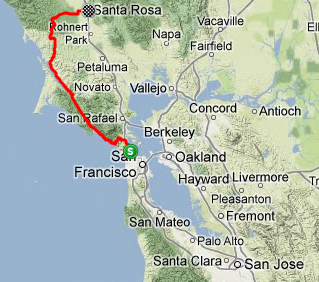 Finish Location: 3rd Street and Santa Rosa Ave.
KEY FEATURES: San Francisco, departing across the bay with a rolling traffic break over the Golden Gate Bridge (the bridge sidewalk will be open to spectators), into Sausalito, up beautiful Highway 1, Point Reyes National Seashore, Occidental and ending with two finishing circuits in Santa Rosa. Done. 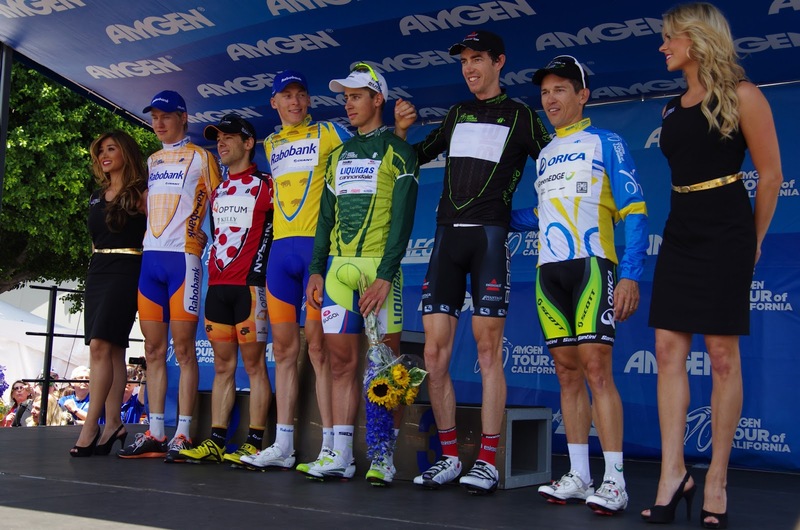 Read more details on the route on the official ATOC website at: 2013 Amgen Tour of California Route Announced.